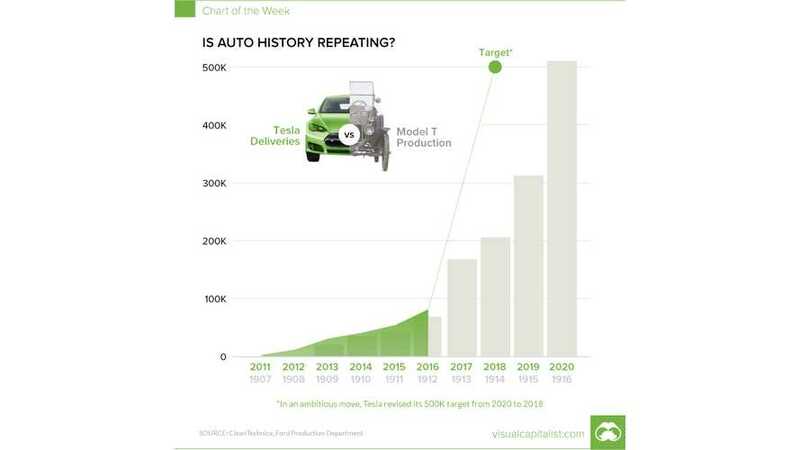 This nifty graphic shows that Tesla sales are actually still ahead of the Ford Model T on a years-after-launch basis. 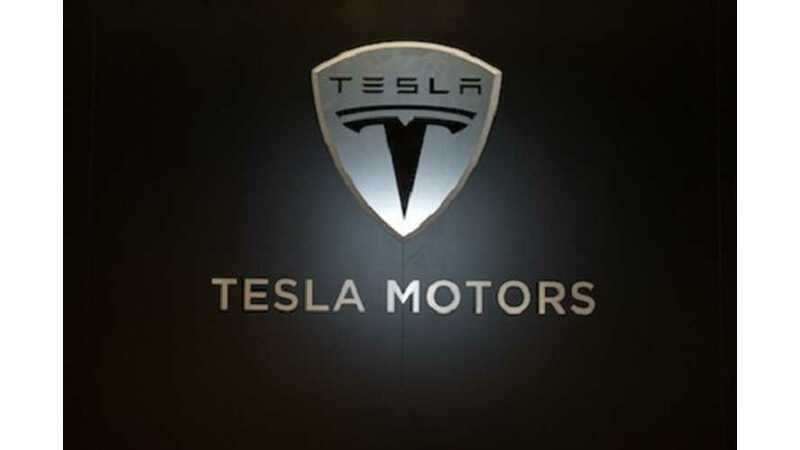 There have been many comparisons of Tesla Motors to Ford Motor Company, but the parallel in the production data presented by Bloomberg is facinating. 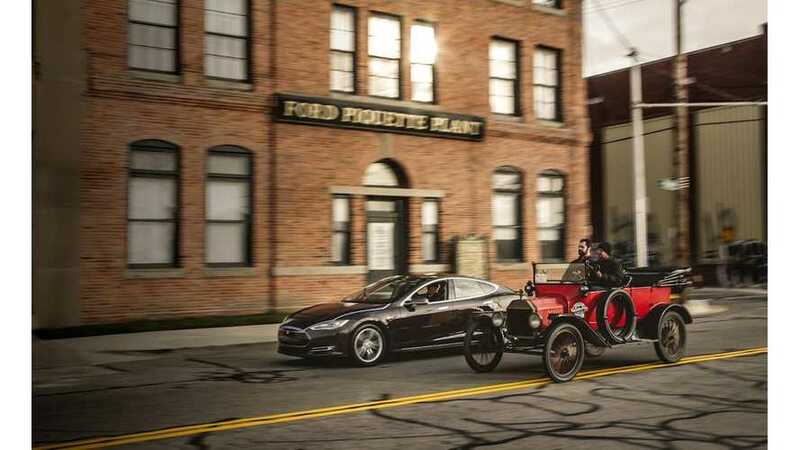 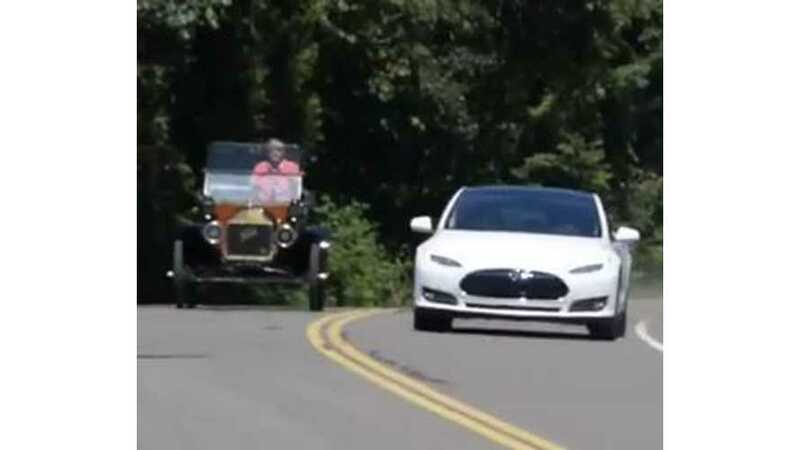 Tesla Motors achieved the 10,000 auto milestone in 2013, the same milestone Ford Motor Company achieved in 1909 with the Model T.
Check out the striking relationship between the sales trajectories of Elon Musk's Tesla and Henry Ford's early Model T.
Video: Tesla Model S Compared to Ford Model T - "Both Were Game Changers"